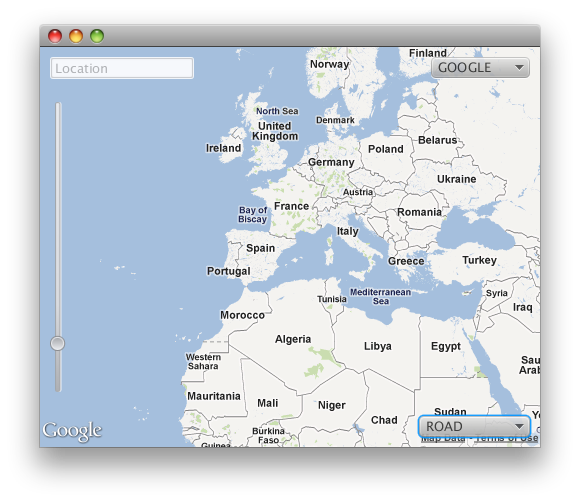 This weekend I was playing with the JavaFX WebView to provide a first proof of concept for a map widget, a MapView. It was a good chance to get used to the properties and binding provided by JavaFX 2.0, as well as the skin pattern. This MapView is still very primitive, but it looks promising.